This beautiful Award would be perfect for any occasion. 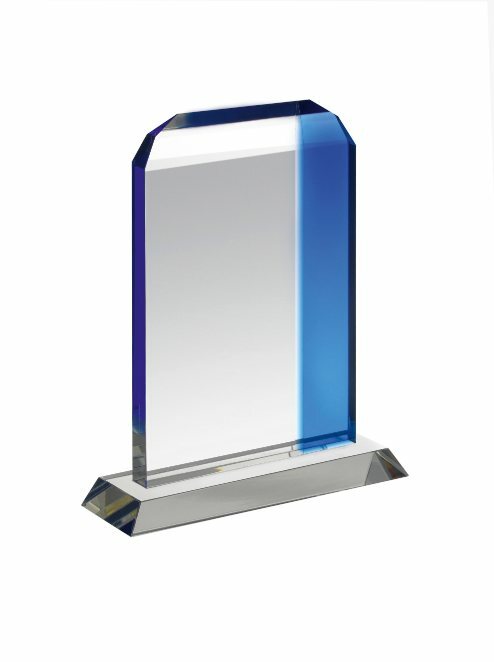 The design is both elegant yet simple, and the blue Crystal makes the Award eye catching and noticeable. This design comes in three different sizes making it perfect for many different ceremonies and giving the Award variety in what it can be used for, and will be supplied to you in a high quality, Swatkins branded presentation box. The HC023 Award is excellent value and looks impressive once engraved.